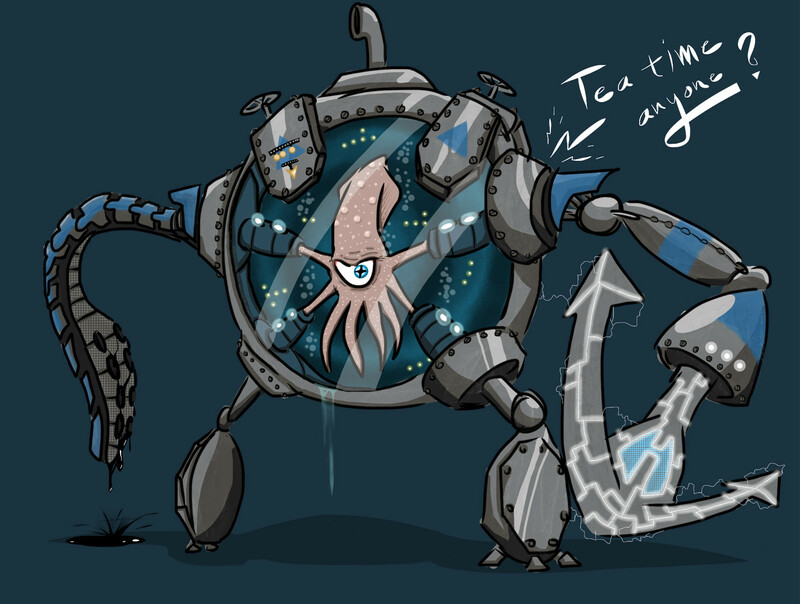 After several weeks of submissions, the “Design your ‘naut!” contest on Facebook has concluded! The first half of the contest asked for people to submist descriptions of their own Awesomenaut and a bit of his/her backstory. 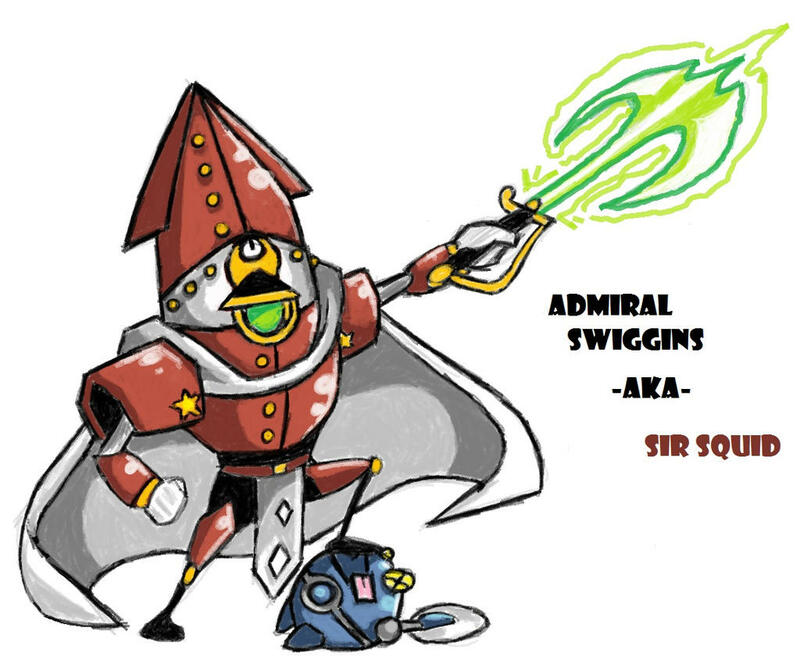 The winner of this fase of the competition was Channfree with his Admiral Swigginssubmission, an anchor-wielding space-squid! 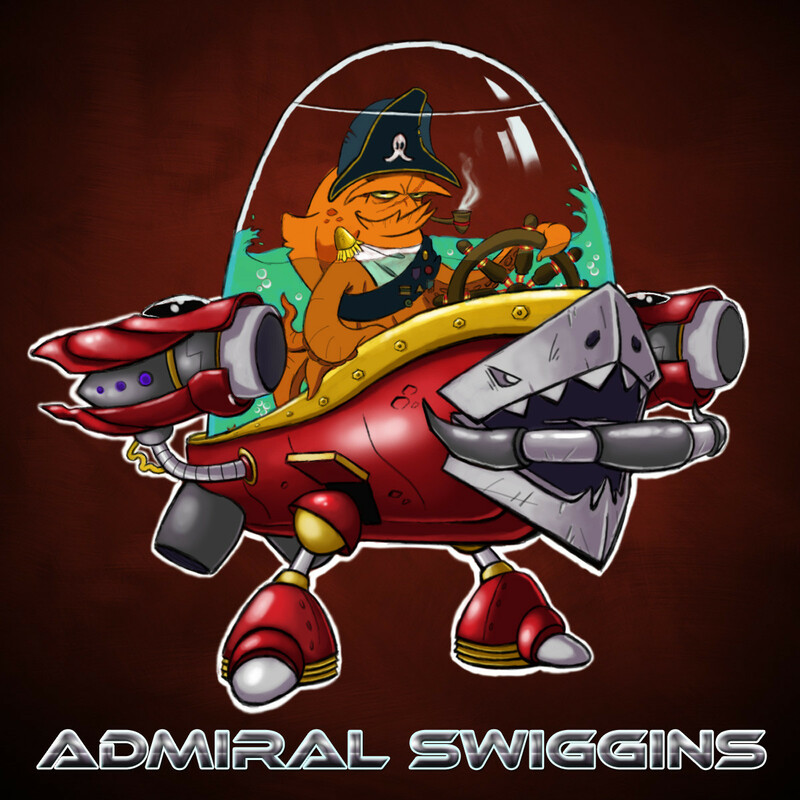 For the second fase artists had to submit an idea what Admiral Swiggins was supposed to look like, and this part was won by Coffeybean4! Here’s a list of all the finalists, congrats to you all! 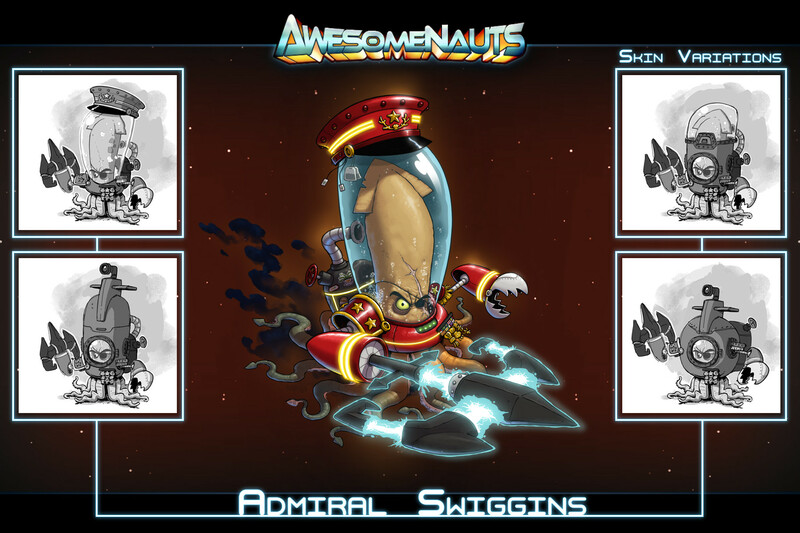 The winning character idea will be implemented into the game and the designer will win a signed copy of the Awesomenauts soundtrack vinyl record, an Awesomenauts T-shirt AND will be mentioned in the game’s credits! The 5 selected entries will all receive an ingame icon. 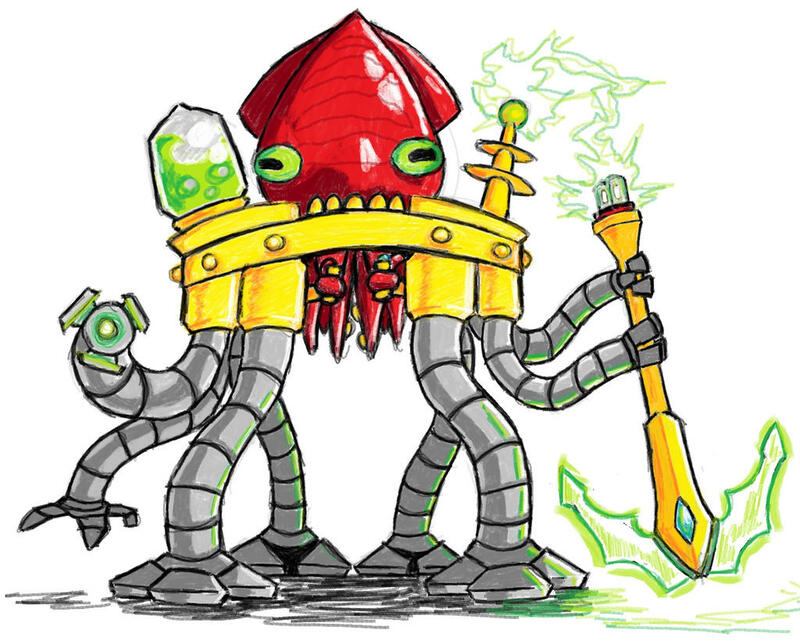 The Awesomenauts design contest is co-sponsored by GameMaker! All 5 selected entries will also receive a copy of GameMaker! The winner’s visual design will be converted into a fully animating in-game character. The winner will receive a signed copy of the Awesomenauts soundtrack vinyl record, and an Awesomenauts T-shirt. The finalists will all receive an in-game icon!